REPUBLICANS FOR SINGLE-PAYER HEALTH CARE | "Global Possibilities"
Without a viable health care agenda of their own, Republicans now face a choice between two options: Obamacare and a gradual shift toward a single-payer system. The early signs suggest they will choose single payer. That would be the height of political irony, of course. Donald Trump, Paul Ryan and Tom Price may succeed where left-wing dreamers have long failed and move the country toward socialized medicine. And they would do it unwittingly, by undermining the most conservative health care system that Americans are willing to accept. You’ve no doubt heard of that conservative system. It’s called Obamacare. Let me take a step back to explain how we got here and how the politics of health care will most likely play out after last week’s Republican crackup. Passing major social legislation is fantastically difficult. It tends to involve taking something from influential interest groups — taxing the rich, for example (as Obamacare did), or reducing some companies’ profits or hurting professional guilds. Those groups can often persuade voters that the status quo is less scary than change. But when big social legislation does pass, and improves lives, it becomes even harder to undo than it was to create. Americans are generally not willing to go backward on matters of basic economic decency. Child labor isn’t coming back, and the minimum wage, Social Security and Medicare aren’t going away. Add Obamacare to the list. “Americans now think government should help guarantee coverage for just about everyone,” as Jennifer Rubin, a conservative, wrote. Trump seemed to understand this during the campaign and came out in favor of universal coverage. Once elected, though, he reversed himself. He turned over health care to Price, a surgeon and Georgia congressman with an amazing record, and not in a good way. 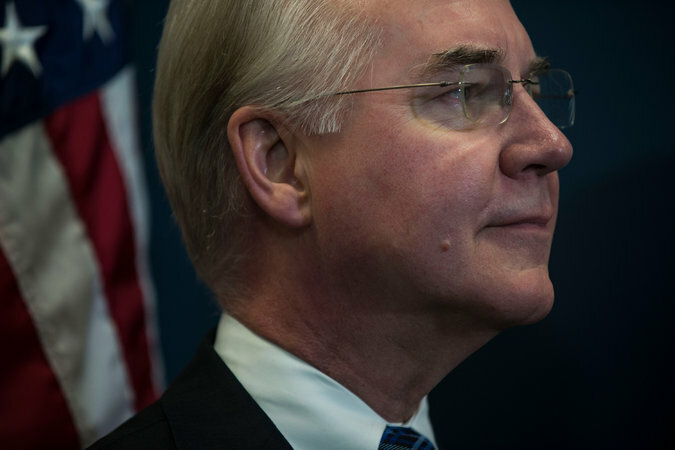 Price had spent years proposing bills to take away people’s insurance. He also had a habit of buying the stocks of drug companies that benefited from policies he was pushing. Preet Bharara, the federal prosecutor, was investigating Price when Trump fired Bharara this month, ProPublica reported. Price and Ryan were the main architects of the Republican health bill. They tried to persuade the country to return to a more laissez-faire system in which if you didn’t have insurance, it was your problem. They failed, spectacularly. Again, Americans weren’t willing to abandon basic economic decency. But Price may not be finished. This weekend, Trump tweeted that “ObamaCare will explode,” and Price, now Trump’s secretary of health and human services, has the authority to undermine parts of the law. Here’s where the irony begins: He can more easily hurt the conservative parts than the liberal parts. Obamacare increased coverage in two main ways. The more liberal way expanded a government program, Medicaid, to cover the near-poor. The more conservative way created private insurance markets where middle-class and affluent people could buy subsidized coverage. The private markets are less safe. They have already had more problems than the Medicaid expansion. Price could try to fix those problems, and I hope he does. Or he could set out to aggravate the problems, which he has taken initial steps to do. Above all, he could make changes that discourage healthy people from signing up, causing prices to rise and insurers to flee. Now, think about the political message this would send to Democrats: It’s not worth expanding health coverage in a conservative-friendly way, because Republican leaders won’t support it anyway. Politics aside, private markets in many areas of the economy have substantive advantages over a government program. They create competition, which leads to innovation and lower prices. But private markets in medical care tend to be more complicated and less successful. And government health care programs turn out to be very popular, among both Democratic and Republican voters. Medicare is a huge success. Medicaid also works well, and some Republicans have defended it in recent weeks. So if voters like government-provided health care and Republicans are going to undermine private markets, what should Democrats do? When they are next in charge, they should expand government health care. They should expand Medicaid further into the working class. They should open Medicare to people in their early 60s. They should add a so-called public option to the private markets. They should push the United States closer to single-payer health insurance. It will take time and involve setbacks, but they are likely to succeed in the long run. Until then, the future of socialized medicine is in the hands of Dr. Tom Price. The idea that its a conservative thing to do has been on my mind for a while. It’s a no brainer for small business since it provides security for the employee and reduces stress on wage inflation required to keep pace with the present system. What it also does is destroys the payday and title loan companies making money off the people who have a medical emergency.